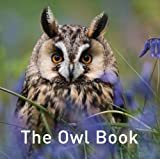 The Owl Book is a fascinating compendium of all things owl, spanning the natural and scientific to its popular place in arts and literature. This title is a compact guide to this much-loved creature, rigorously researched and photo-illustrated throughout. Jane Russ is the Chairman of the Hare Preservation Trust.